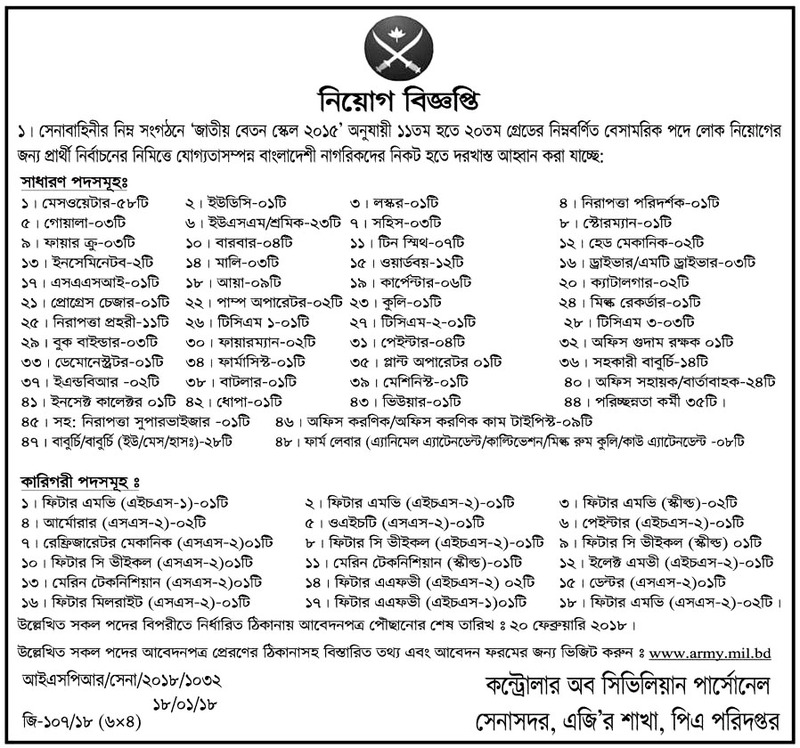 Recently Bangladesh Army Published new civil job circular Published their Official Website. Bangladesh Army job Circular also share more update by CHomeBD.Com. Some days ago they are published new jobs circular on there official website. At this time this Army jobs circular also update by our website. Please check your Bangladesh army jobs short information below attached image file. Note : You have apply this jobs before 20 February 2018. Bangladesh Army Jobs circular is an attractive jobs in Bangladesh. Many people and students of the People search Army jobs from Bangladesh. You can avail notice here Job result, Exam Center, job salary, age limit are written below. Please Read below circular this jobs process and apply if you are qualified. Application Last Date :20 February 2018.